3 for Intelligence: Oh snap, planes! 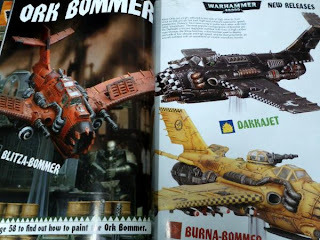 Somehow I missed/didn't care about the "whatever of fliers", but it's just come out that they are really being released June second! It's a flying metal Croissant! This is... cool? I guess? Two of these things don't have any rules in the codexes so there's no way to play them for now. 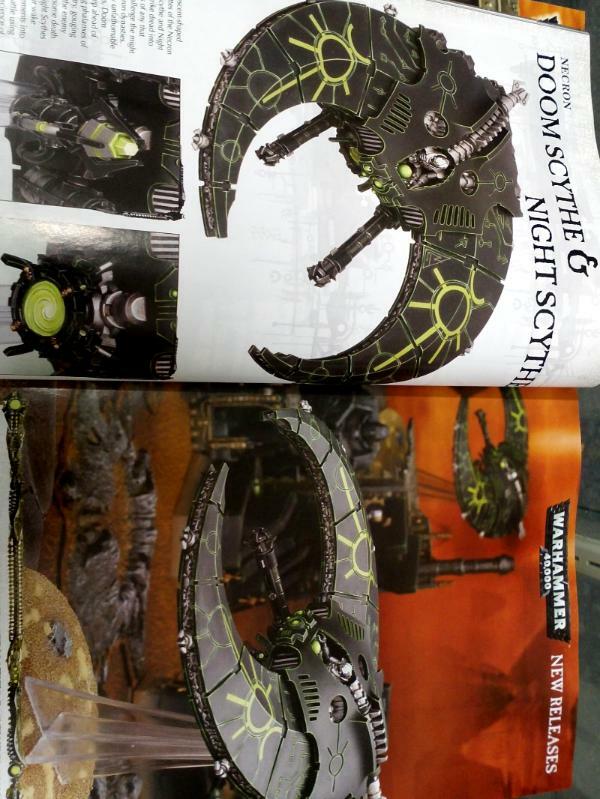 I know some people are excited about the Doom scythe with it's crazy lazer beams, but the sctyhes seem like the worst vehicles from the Necron book. A 4+ flat out save has almost never saved a ravager from continuous fire, so I don't know why people are so hot on a vehicle with one random gun that's good against heavy vehicles and another that's better against light vehicles and troops. Especially if they are huge flyers. I guess it's another thing that's super good at killing rhinos? Any way you look at it, new models are cool. So they have that going for them. 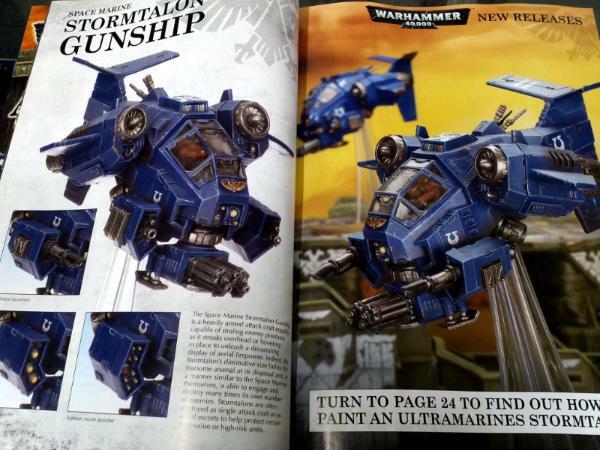 But their blackout on previews will really hurt them in the case of the stormtalon and the Bomma I think. No one's going to run out and buy something they aren't sure if they can even play, let alone have any idea what the rules are. Also, keep in mind the upcoming 25% price increase from GW... So while $45 seems like a somewhat reasonable price if these are good, $60 does not. I dunno, maybe I'm wrong. Is anyone out there excited for these things?